FLORENCE SMOLEN, (nee Adams), age 84. 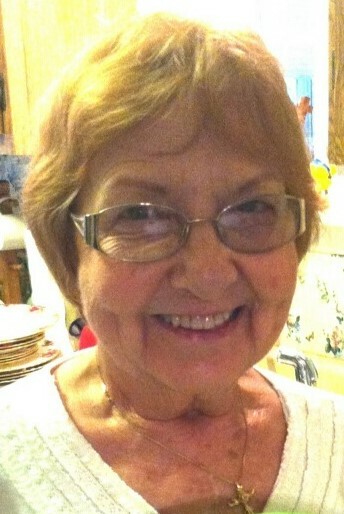 Beloved wife of Raymond and the late Stanley Pender; dearest stepmother of Lisa Chopp (Charles), Alan Smolen (Cheryl) and Lori Baeslack (Will); cherished grandmother of Cam Chopp, Tyler and Dylan Smolen, and Brittany and Brandon Baeslack; dear sister; and sister-in-law of Kay Croll; loving aunt of Joyce and Larry Croll, Kay Morgan and Theresa Locherfield and great aunt. Funeral Mass Friday, Sept. 14, 2018 at 11:00 a.m. at The Shrine Church of St. Stanislaus (PLEASE MEET AT CHURCH). Interment Ohio Western Reserve National Cemetery. Friends received 3-7 PM THURSDAY at GOLUBSKI FUNERAL HOME, 5986 RIDGE RD., PARMA.